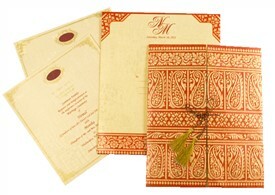 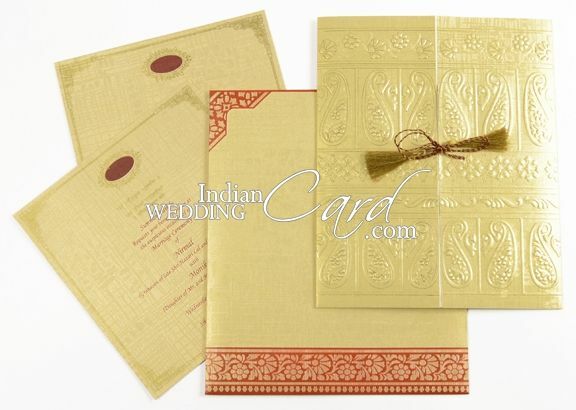 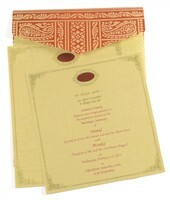 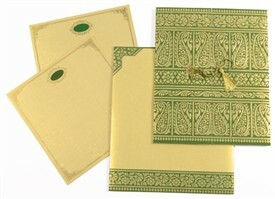 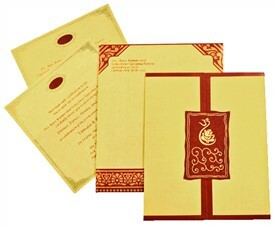 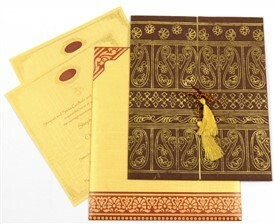 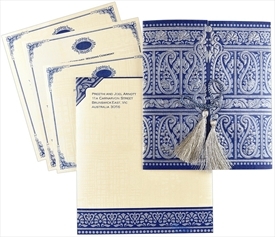 D-134, Gold Color, Shimmery Finish Paper, Designer Multifaith Invitations, Jewish Invitations, House Warming. 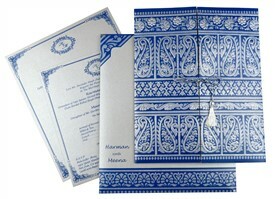 It’s like opening your doors for eternal joy. 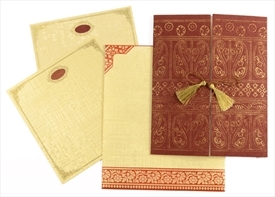 This golden door-open card is a rare treat of imagery and glitz. 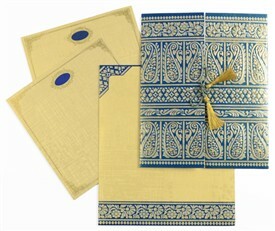 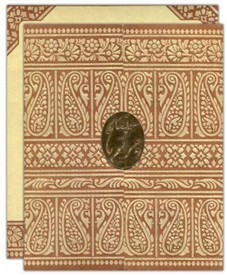 The golden-pearl printed front, which is tied by a silken tassel, has been designed with traditional self-embossed motifs in rows; the gold leaf work detailing has been employed for additional attraction. 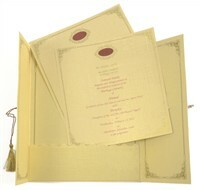 The inserts are plain and the envelope follows suite. 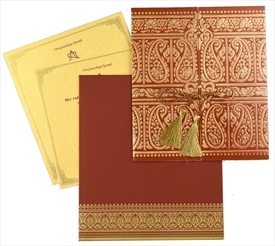 Silk Screen Printing in Maroon or gold Color ink.